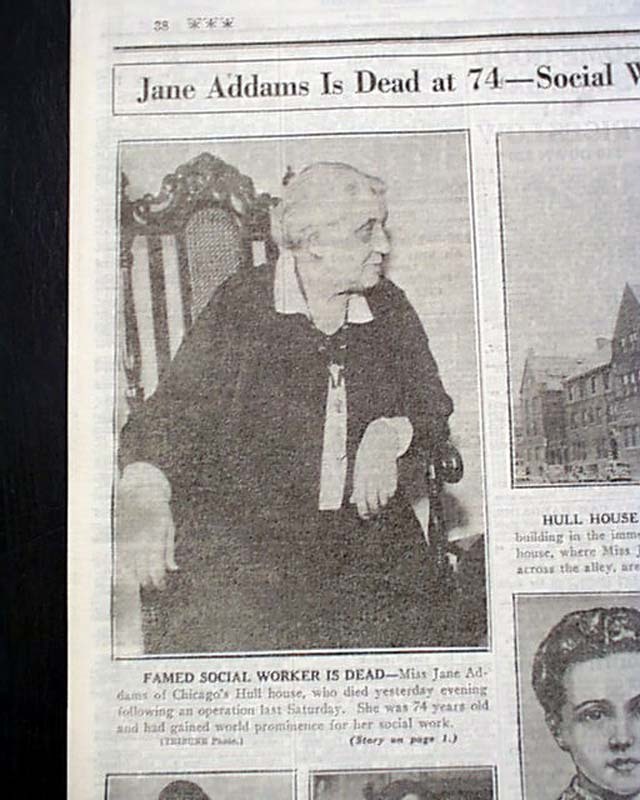 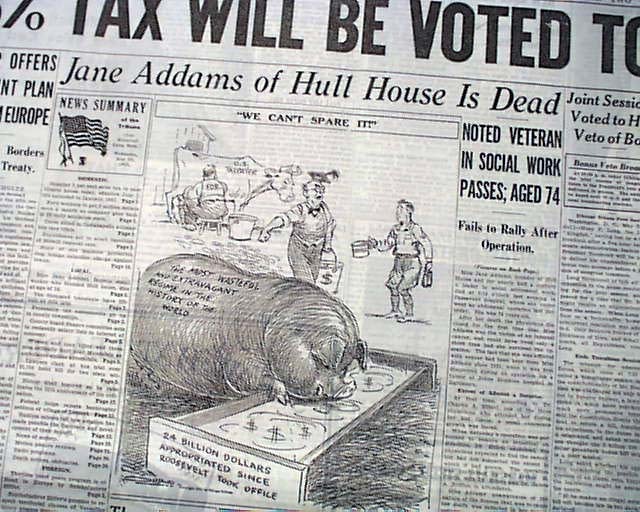 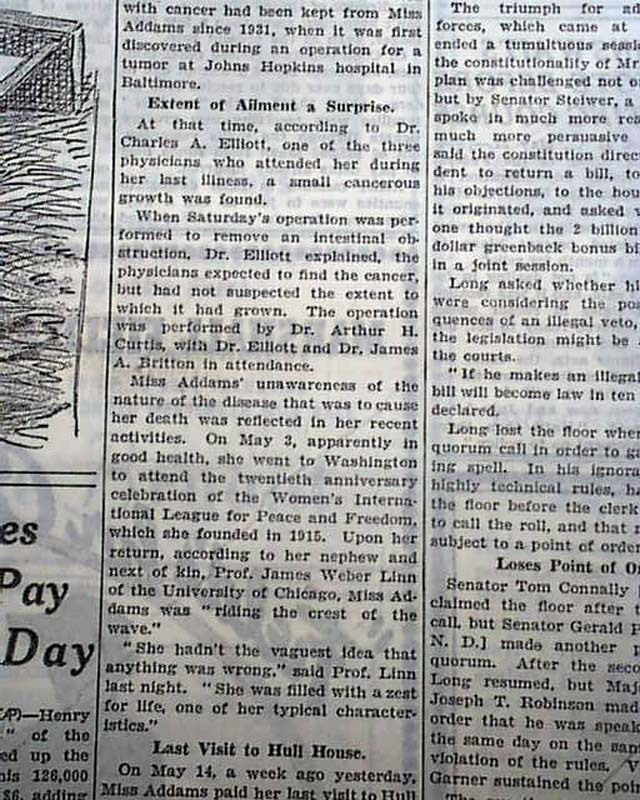 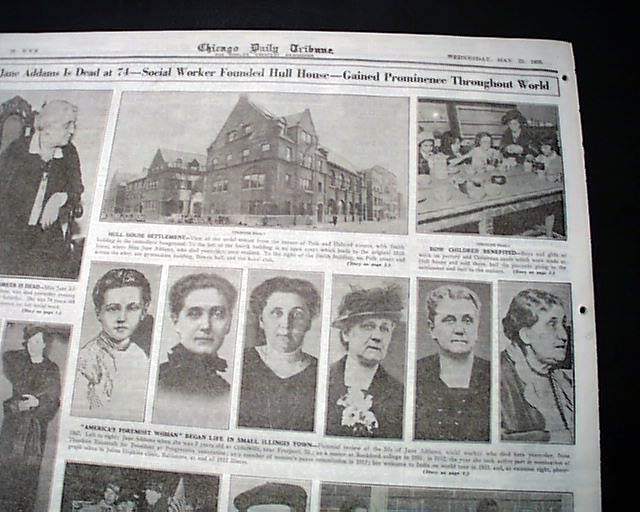 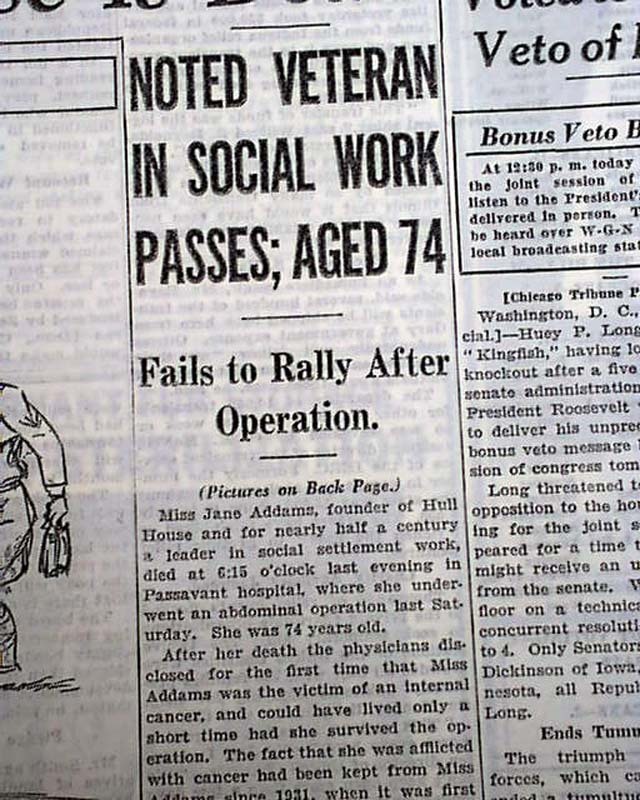 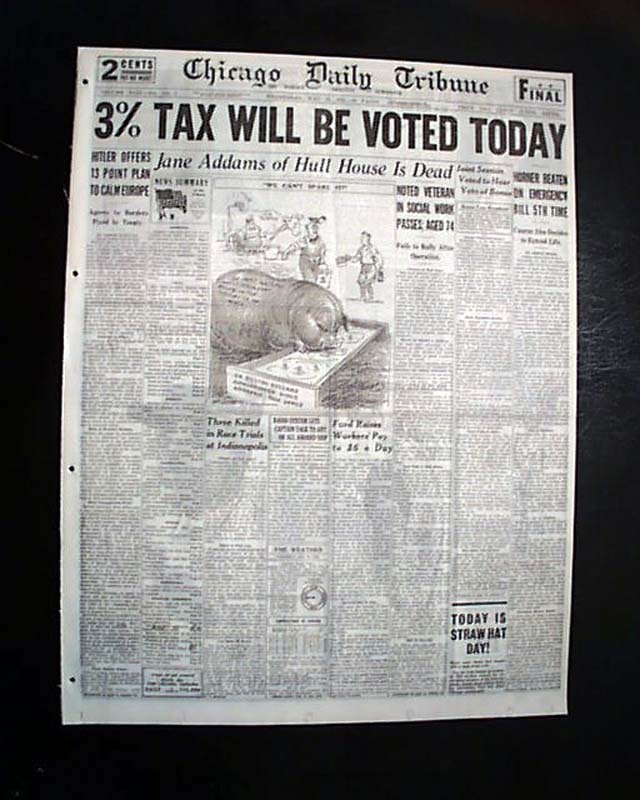 The front page has a five column headline: "Jane Addams of Hull House Is Dead" with subheads. 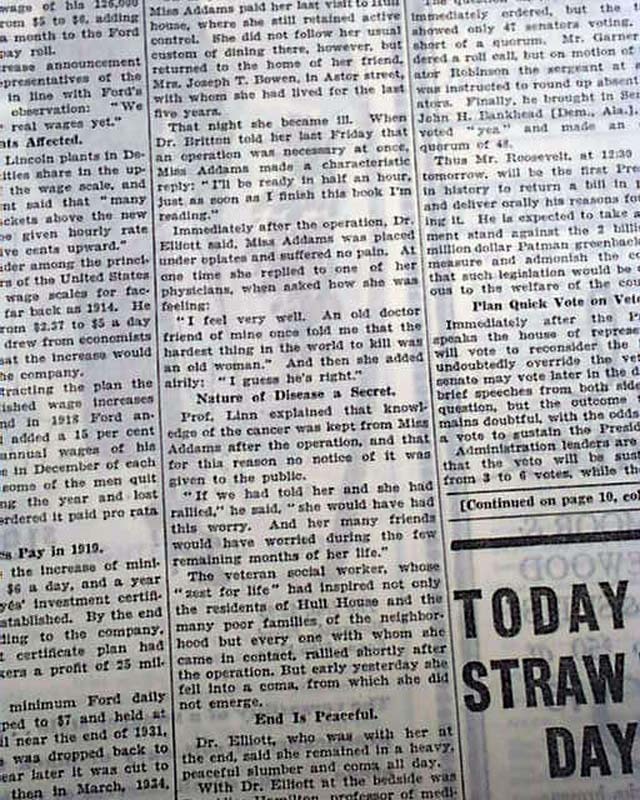 (see) Lengthy text continues on page 4. 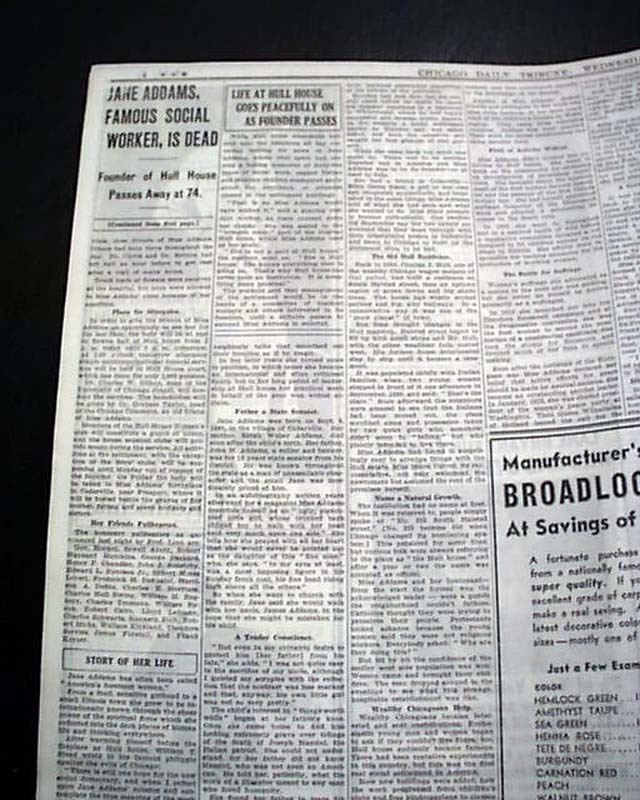 Banner headline on the back page with related photos.